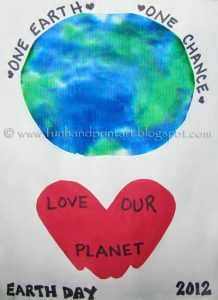 Earth Day is celebrated around the world on April 22. 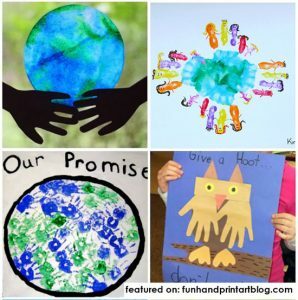 It’s a great time to talk with children about the importance of taking care of the Earth, recycling, natural resources, and ways to preserve our planet. 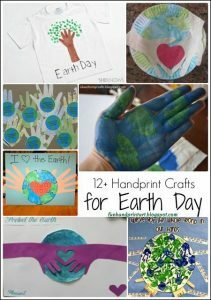 Make learning about these important topics fun with these Earth Day handprint crafts for kids. 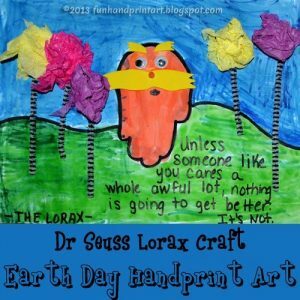 Celebrate Earth Day with Handprint Art! 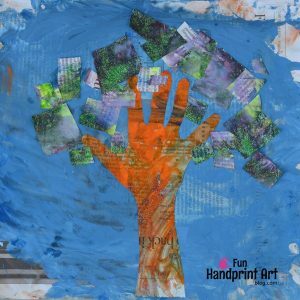 – We posted this fun collection last year. 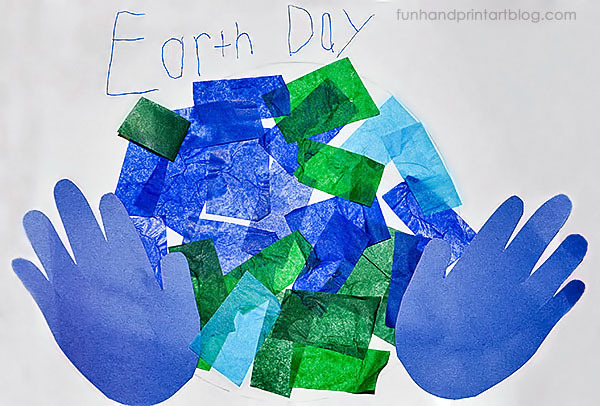 My so made this tissue paper Earth Day craft when he was in preschool. 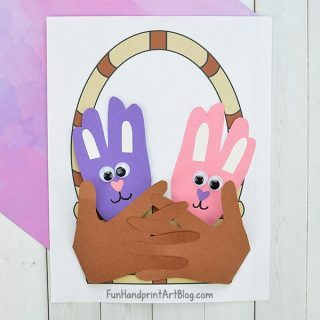 I love how simple and cute it is! 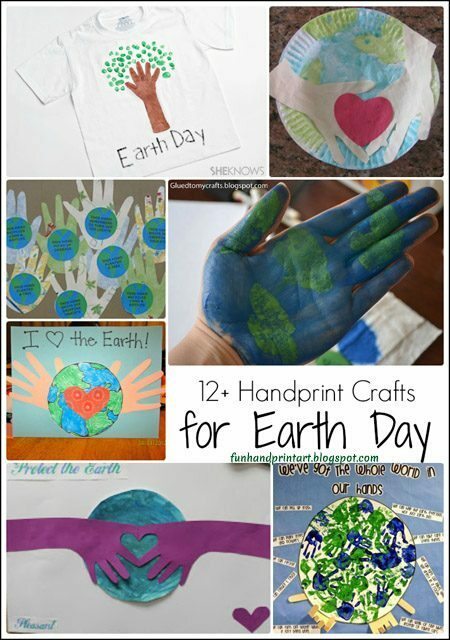 Have them trace a circular shape to use as the Earth Template. Then have them paint glue inside the circle. 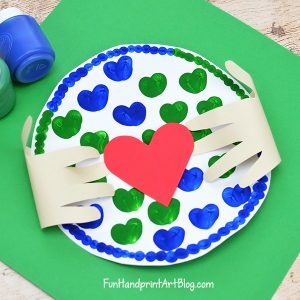 Take pieces of cut up blue and green tissue paper and stick them to the glue. 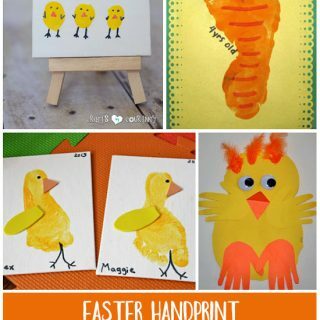 Trace hands onto construction paper and cut out. Glue on so it looks like the hands are holding up the Earth. 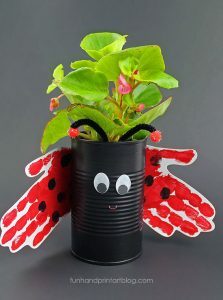 What ways do you teach kids about caring for our planet? 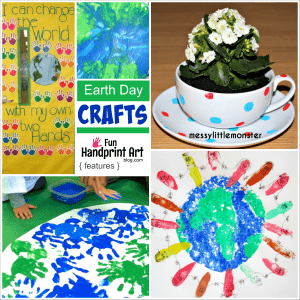 This Earth Day Handprint Crafts post was originally published on 3/21/14 and updated on 4/21/18. 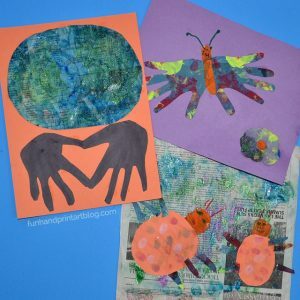 I didn&#39;t realize how many ways you could use a hand-print! These are awesome!